Never (永不 or Yong Bu) is an insert sound for Office Girls OST (original soundtrack). “Never” is sang by Quack Wu Zhong Ming (吳忠明), who is also known as Big Q (大Q). 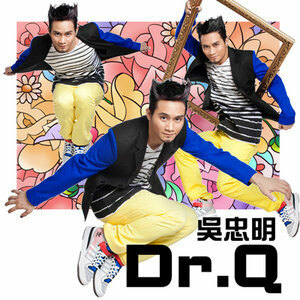 The song is also recorded in the first personal album of Big Q Quack Wo, Dr. Q, that was released in October 21st 2011. The lyric and music of the song of “Never” is written and composed by Big Q Quack Wu himself. Big Q first sang the “Never” song on an concert, and on air wave, the “Never” debuted through Asia FM, both before the official release of the album. At the concert of Yisa Yu Ke Wei. First sang love by Big Q at Taipei’s crime prevention carnival.